Remember the safari themed bachlorette party I went to last weekend? Well I didn't show up empty handed. Oh no, I brought the bride to be a new robe. A very special embellished robe! 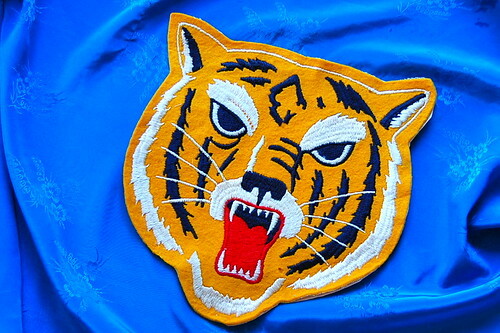 I realize not everyone is going to have a vintage tiger Letterman jacket patch lying around the house. Any patch will work for this project. 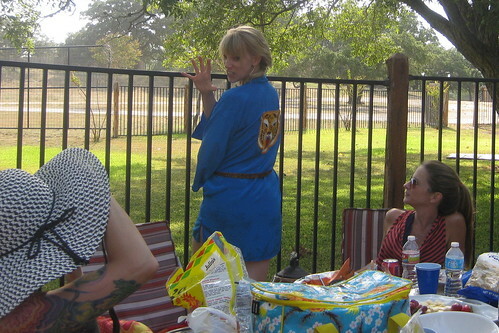 You are going to need to comb the thrift stores for a fun robe. 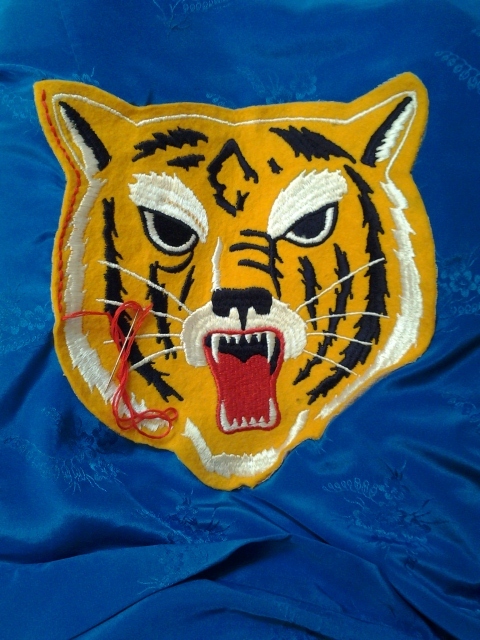 Decide where on your robe you want your patch. I went for the center of the back. 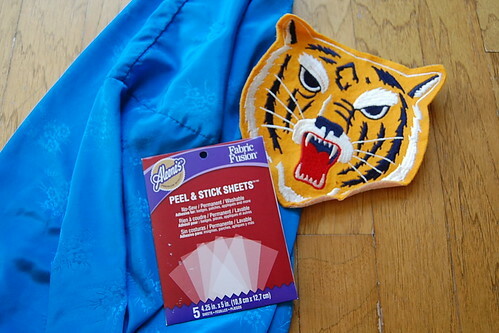 Next peel, place and trim your Fabric Fusion Glue sheets. These things are perfect for appliques. 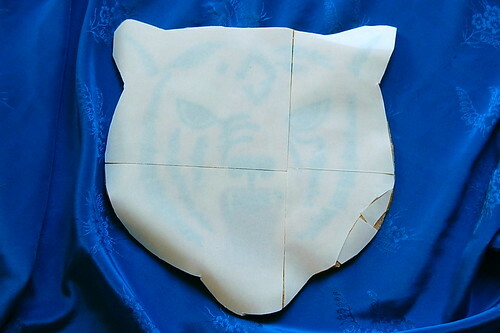 Once you have the entire back of your patch covered remove the second sheet of paper and stick on your robe. The nice thing about these sheets is there is no drying time. I immediately started embroidering around the edge in red for a decorative trim. The jacket looked fabulous on my friend and was a big hit. The longest part about this project was the stitching, but that step could easily be skipped. Love the way it turned out and now wishing I had another one of those patches to make a robe for me. Check out more of my I Love to Create posts here. Perfect! I do love stitching and its my passion. That jacket is so nice. Keep on doing more.